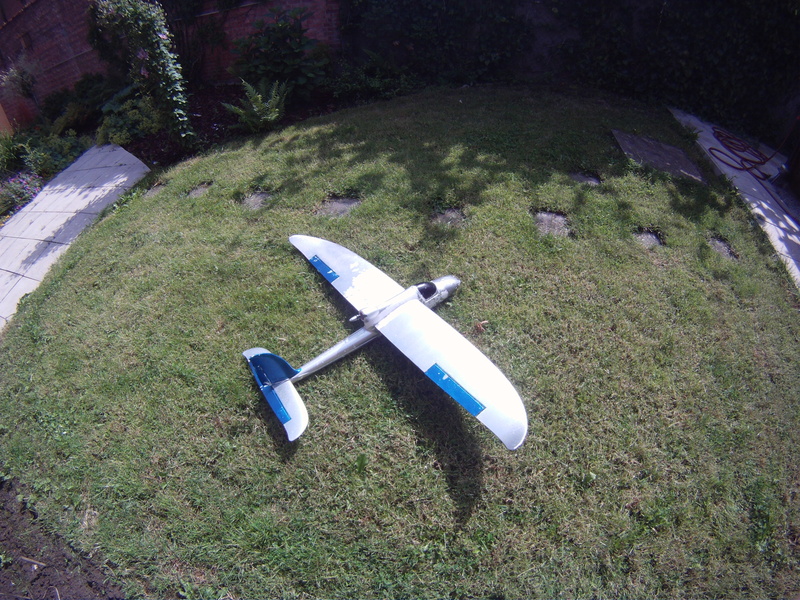 A while back I bought a Bixler powered glider at Hobby King. I bought the kit, so could swap out all the inferior components that come in the ARF (almost ready to fly kit). It had been laying there, carefully planning how I would build it, but last Sunday it was finally finished! 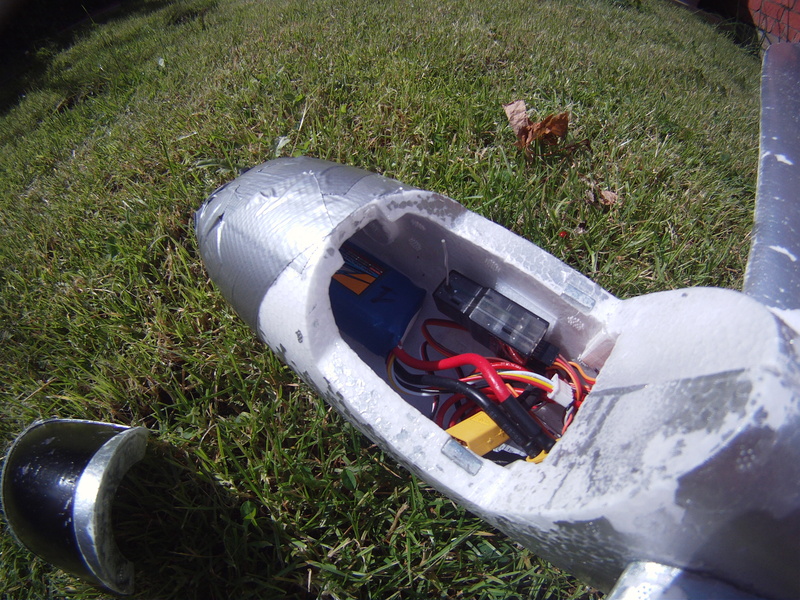 The maiden flight went perfect! * This ESC is too weak! It overheated after a few full throttle loopings and fly-by’s (see below). I will be moving the ESC to the outside of the body to cool it down, or swap it out with a 60A ESC that’s currently underway. This prop/motor combination gives these results: 412.7 W and 36.69A! I also tried to paint it but instead of carefully preparing this, I starting spraying it with spray cans from the local DIY shop. Not a good idea! The driver gas clearly affected the EPO. The paint didn’t stick and now it peals off, leaving paint chips all over the house! 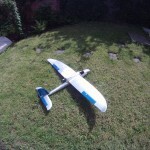 My next Bixler will be properly painted! I use my Spektrum DX7 with AR7000 receiver. I have it configured for flaperons, which softens my landing.